This article gives you details about Dead island, latest first person adventure game released in Xbox 360, play station 3 and PC. More details about the characters and weapons of Dead Island is given in this article. Dead Island is a first person adventure game where the story of the game related to a horror mode. The developer of Dead island game is Techland and published by Deep silver. The distributors of the game are Valve Corporation, Square Enix and spike. Dead island is a first person horror game where you can hang around in a open island or world. Weapons, characters and graphics of the game make Dead Island special and different from other first person video games. The game features both single player and multi player gaming modes. The game is released in September 2011. 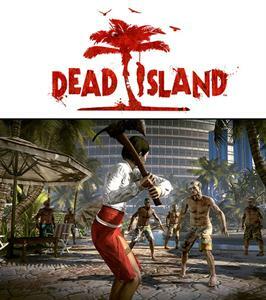 Dead island was released in Xbox 360, play station 3 and PC. There are different types of Zoombies where you have to use different types of weapons to attack them. Player can kick, punch, dodge and jump in the game. More details about the weapons and characters of Dead island is given below. There are 4 main characters in Dead island game. They are given below. Sam B is and main hero of the game. Sam is expert in using blunt weapons. using his fury attack, he can kill the zombies with his hand. Xian Mei plays the role of a assassin where she can make more damage to the Zombies with her Knife. Logan Carter is a specialist in handling all weapons in the game. Logan Carter has the ability to throw the weapons towards the enemies. Purna is playing a support role in the game. Her special ability is the unlimited ammo in her revolver when his rage bar is full. There are different types of weapons in Dead island game used to attack the enemies. Main weapons of Dead island is given below.